The unusual – business as usual for us! At dy-pack, we pride ourselves in not only using our customers’ success as a yardstick for our actions but also in improving the world in which we live. The resulting philosophy is deeply rooted in our company’s genes; the drive to always create leading-edge technology sets us apart. The strong conviction that only sustainable actions can result in long-term success is reflected in our day-to-day work and in our products. The future will be made from paper. dy-pack exclusively manufactures paper sacks. Why? There is no way around the good arguments for paper and against the plastic alternative. We are convinced: if one is to act in a sustainable and environmentally conscious manner, then one has to consider paper. This is especially true when it comes to packaging for mass production, making informed choices we can achieve great things together: We want to continue developing the technology to ensure that the functionality of the paper sack is on par with the plastic bag (or even better). By choosing the paper sack, you are making an important contribution to protect our environment. Advancing industries – Setting trends. Innovation is our day-to-day business. Constantly optimising the performance of our products for you guarantees success for both. We live for innovation – you reap the reward. Whether due to your specific requirements (e.g. humidity protection for sacks stored in the open) or increasing the convenience for the end-user (e.g. easy carrying and opening without tools): you secure competitive advantage with innovative packaging and we strengthen our leading position in the market. Please find an overview of our innovative ideas here. ... and value your product. Added-value made by dy-pack: Modern machinery ensures consistently top-notch products. The latest high-performance printing machines guarantee first-class images. Outstanding employees ensure smooth operations. Naturally, this is our philosophy: Creating and maintaining values – the quality of your product. 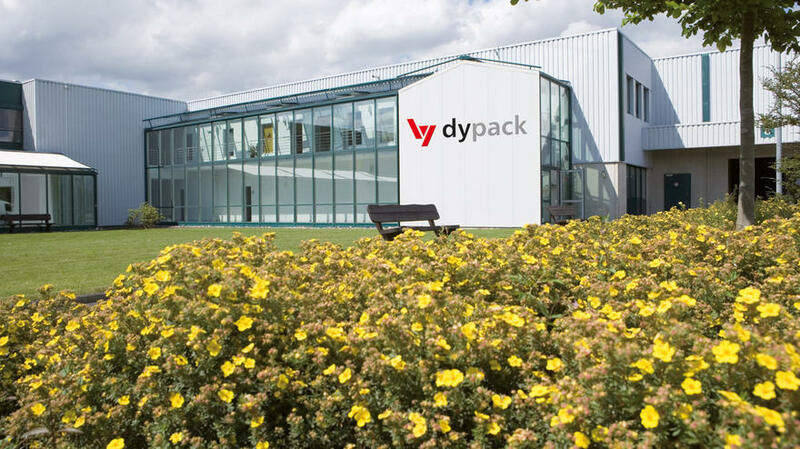 For over 65 years, dy-pack has been representing the proverbial “Quality made in Germany” worldwide: as a family-owned enterprise, we place special value on this great tradition. We are also proud to count ourselves among the leading independent manufacturers of paper sacks worldwide. We think like our customers. We also think of your customers. Our philosophy of “creating added values” guides our actions. Only by seeing the world from our customer’s perspective can we help them to be more successful. Our dy-pack consulting teams can thus be on your sites across the world, ready to address your specific requirements in a customer-oriented manner. dy-pack looks further: We also take into account the needs of our customers’ customers. More convenience, more cleanliness, easier use of your products – additional benefits your customers do appreciate and thus increase your success.